A large part of the city of Sueca's economy is dependent on rice growing, which is still true today, and it also maintains an industry that is dependent on agricultural production. 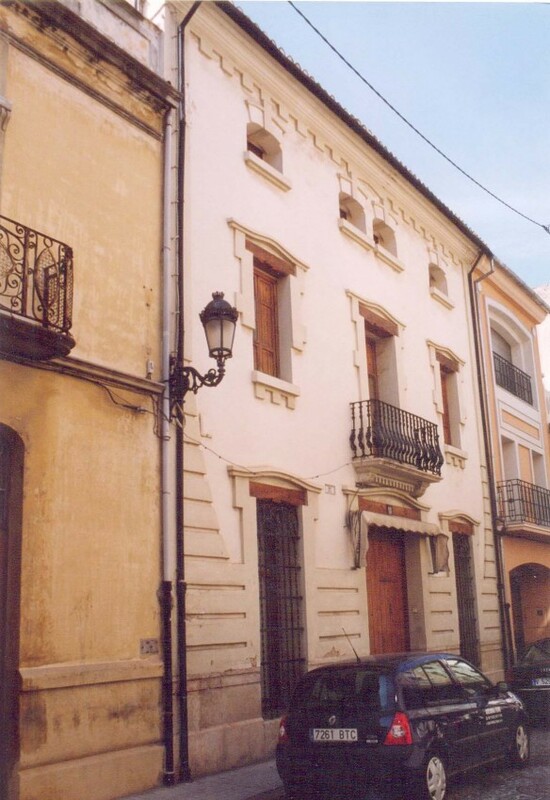 Sueca experienced growth at the beginning of the 20th century, coinciding with the moment that it obtained city status, on 17 January 1899. Major public works were constructed, such as the iron bridge over the Júcar River in 1916, designed by the engineer Artur Monfort and recently restored. The architect Pasqual Bonaventura Ferrando Castells (1881 - 1951), born in Sueca and who studied at the Madrid school of architecture, designed many of the city's major buildings between 1908 and 1922. Ferrando received an eclectic education and comfortably alternated between diverse architectural styles and models. 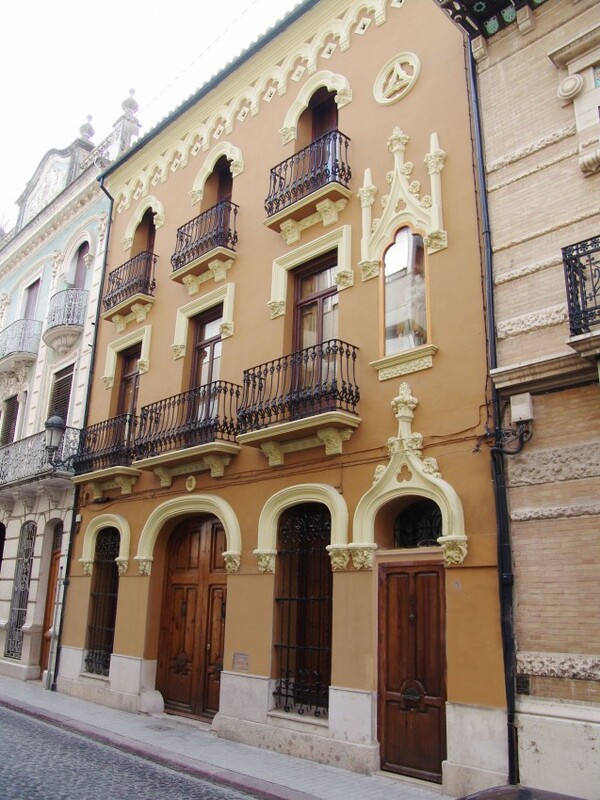 According to Aleix Catasús, the author of a study on modern architecture in Sueca, he also designed a few buildings with clear Modernista influences. 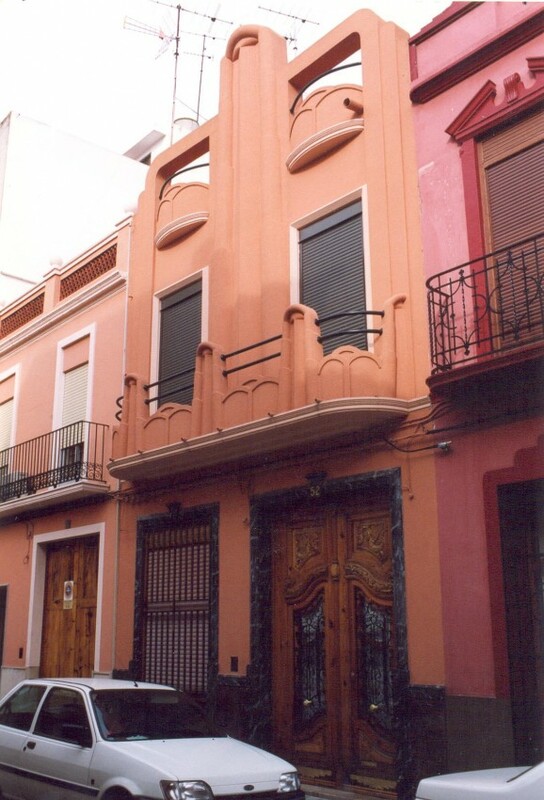 Of the works in the city, mention could be made, for example, of the wall that protected the irrigation channel in Carrer Sequial (dating from 1912 and no longer surviving), or Benjamí Modesto's house (date and designer unknown), known as the Casa del Milionari, Sueca's most French Art Nouveau influenced house, with a double gallery on the first floor and abundant linear ornamentation. 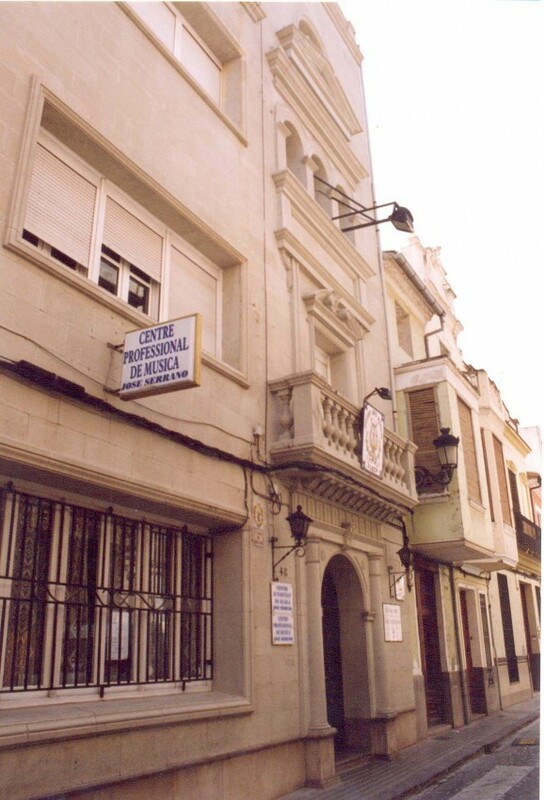 Ferrando's most important work is the Asil d'Ancians Desemparats (Centre for the Homeless Elderly 1909 - 1919), built on the bequest of Antoni Baldoví Beltran and his wife, Teresa Cardona Burguera. It is a very functional building dominated by a central body around which are arranged pavilions housing independent services. A large chapel is located in the centre, with a Latin cross floor plan recalling neo-Gothic design but with an expressive use of form that is more reminiscent of Modernisme. The neo-Gothic arch, for example, that provides access to the presbytery has extended lower lines, thereby approaching forms recalling the horseshoe arch from neo-Arabic traditions. The outer walls are made from large ashlars and these contrast with the exposed brickwork. The highlight of the complex is the access wall into the premises, with two brick pillars of different heights providing it with an asymmetric Modernista look. Mention could also be made of the Escoles Jardí belonging to the Ateneo Sueco del Socorro (1914), a progressive group that promoted education in nature. One can also find a certain Secessionist influence in some of the city's industrial constructions, such as the Valerià Monton factory (1917), also by Ferrando, or the pedestal for the bust dedicated to local writer Josep Bernat i Baldoví (1909).